Two students from Hackney were among 1,400 competitors to take part in the 2018 School Games last weekend. The national event saw the most talented disabled and non-disabled pupils from across the UK compete in 11 sports at venues across Leicestershire. The aim is to give stars of the future an experience of a high-level multi-sport contest, similar to the Olympics and Paralympics. Sixteen-year-old Shaka Egbo, who was born in Hackney and is now a student at the Queenswood School in Hertfordshire, was selected to compete for England South in the girls’ high jump. She posted a best effort of 1.69 metres, the same height as the eventual winner, but had to settle for a close second after taking more jumps to get there. Egbo is a member of Herts Phoenix Athletics Club, and already boasts an impressive record, including first place in the under-15s National Indoor Championships in 2016. 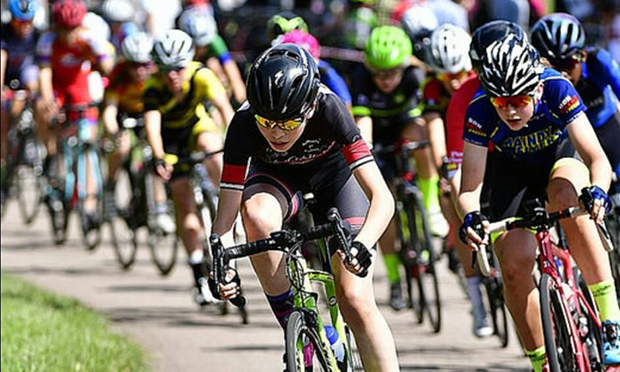 Mossbourne Academy student and Cycling Club Hackney representative Anoushka Minale, 13, also did the borough proud as she competed for England Eastern. Riders took part in a number of events, including sprints and a road race, and Minale put in some impressive performances to help her team finish first in the overall standings. The Hackney duo were following in the footsteps of a number of British sporting giants who have previously competed in the School Games, including Olympic gold medallist Adam Peaty, heptathlete Katerina Johnson-Thompson, sprinter Adam Gemili and Paralympic champions Ellie Simmonds, Jonnie Peacock and Hannah Cockroft. The event gave the pair a taste of top-level sport, as they had a chance to live in an athletes’ village, enjoy the School Games ceremony and perform in front of a huge number of spectators. The games, which is organised by national charity Youth Sport Trust (YST), is supported by National Lottery funding from Sport England and Home Country Sports Councils. YST chief executive Ali Oliver said: “The School Games National Finals provide a great opportunity for talented young athletes like Shaka and Anoushka.